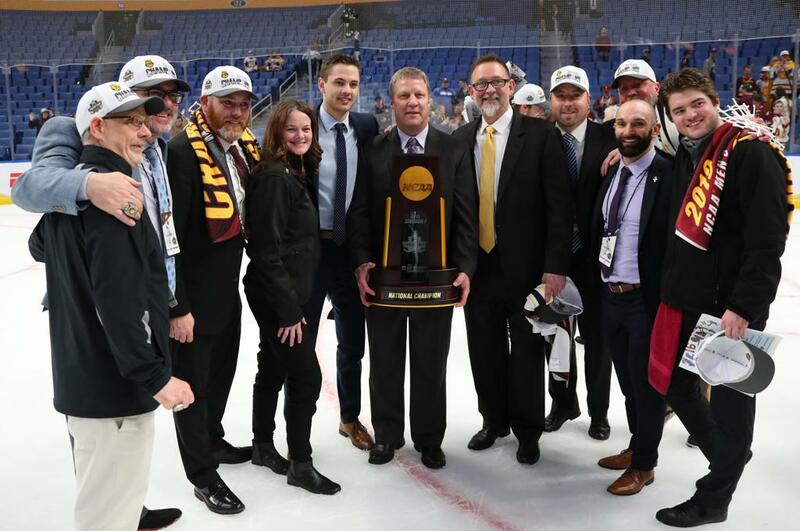 BUFFALO, N.Y. — On Saturday, Minnesota-Duluth became the first school to win back-to-back championships since the University of Denver in 2004 and 2005. With that, head coach Scott Sandelin joined a very exclusive club. Sandelin became the ninth coach to win three or more national titles. Only Vic Heyliger (six), Murray Armstrong (five) and Jerry York (five) have earned more. “I just don’t want guys to be satisfied,” Sandelin said of repeating. “We knew going into the year that we had a lot of good parts. You return your starting goalie, your whole D corps, we had good depth up front. Yeah, we lost some guys, which teams do, but we felt we had some good freshmen coming in. Seventeen Americans, including Mikey Anderson and goaltender Hunter Shepard, played for Minnesota-Duluth on Saturday. 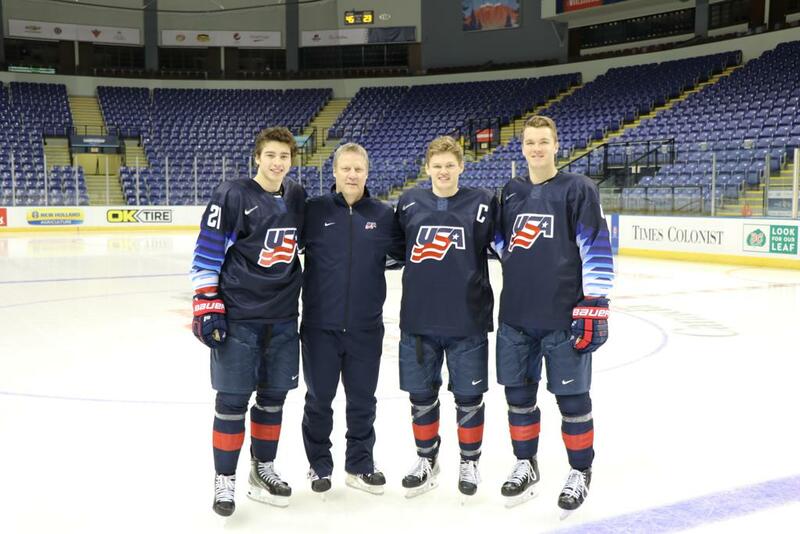 Five Bulldogs — Anderson, freshman winger Noah Cates, sophomore defensemen Scott Perunovich and Dylan Samberg and junior winger Riley Tufte — have represented Team USA at the IIHF World Junior Championship, with Anderson serving as captain of the 2019 U.S. National Junior Team. Duluth likely wouldn’t have won its third title in school history without Shepard, the team’s “brick wall all season long,” according to captain Parker Mackay. Shepard dressed for all 41 games for the Bulldogs in 2018-19. In 30 of his appearances, he allowed two or fewer goals. On Saturday, he stopped 18 shots for his seventh shutout of the season. The rigorous National Collegiate Hockey Conference schedule, of course, prepped Minnesota-Duluth for another tournament run. The Bulldogs faced heavyweights all season. “There’s not really any weekends off in that league,” Shepard said. “There’s no bottom feeders. … You’re battle-tested when you get to the end of the year. I think that’s really helped our team be built for the playoffs, playing such a tough schedule. The Bulldogs likely wouldn’t have been playing for their third straight national title without Mackay’s heroics either. His power-play goal 3:51 into the first period helped the Bulldogs seize early control and hold up as the winner in their 3-0 victory over the University of Massachusetts Minutemen at KeyBank Center. For good measure, Mackay assisted on Anderson’s second-period goal. “You can’t write it any better than that,” Mackay said of his final college outing. In their NCAA Tournament opener March 30 against Bowling Green, Mackay scored late in regulation and again in overtime. He ended his college career on a five-game goal-scoring streak.